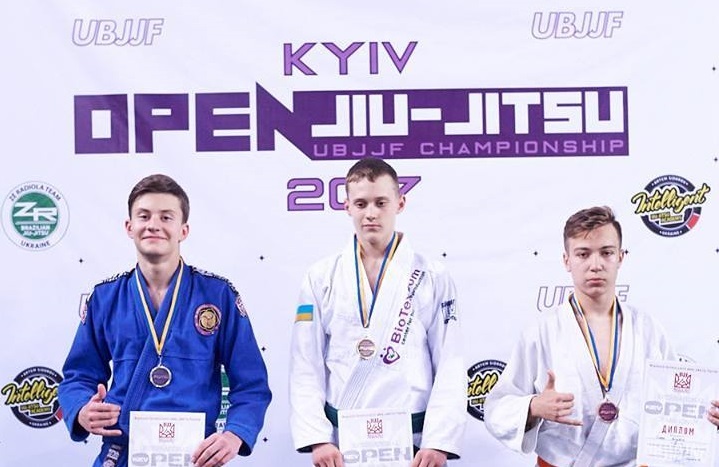 The doors of the SC “Borets” (Kropivnitskiy) are open not only for the highly-qualified adult fighters but also for the younger generation as well. Ievgen Skyrda, the head coach of the club, actively promotes a healthy lifestyle and the Brazilian Jiu-Jitsu among children and teenagers. At the “Kyiv Open Jiu-Jitsu Championship 2017” his sportsmen have won a huge number of different prizes!